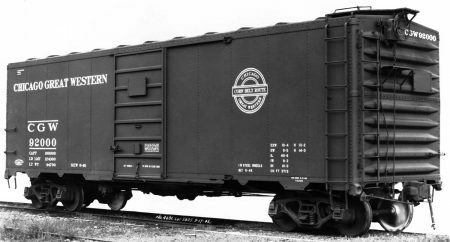 The kit is focused on a proprietary Pullman Standard “Carbuilders” corrugated end that was used on two series of Chicago Great Western 1937 AAR box cars, and one order of five Chicago & Eastern Illinois express box cars. The Pullman Standard specialty item was specified as “Steel Ends – Carbuilder – Corrugated Round Corner” in the car order bill of materials. 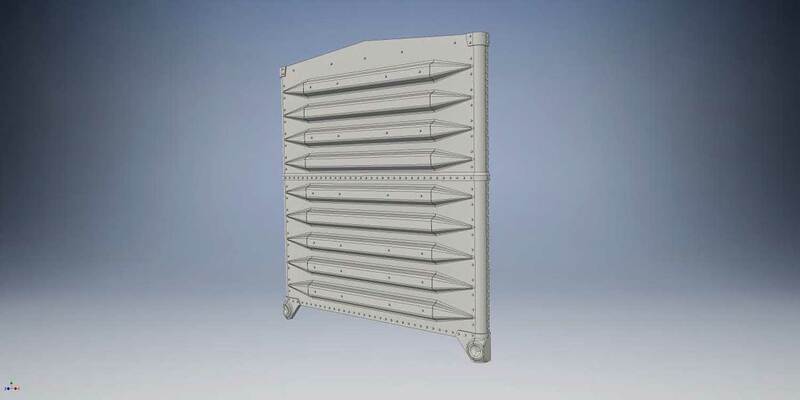 In order to recreate this end, which has never been offered in plastic, Jason Kliewer first created a solid model in 3D. With the solid model and today’s ready access to rapid prototype machines, we tried four different outputs and eventually settled on the FXD material from Shapeways. The rapid prototype parts were sent to Frank Hodina of Resin Car Works for his special touch and tweaking. Afterwards, the parts were pasted down and prepped for shipment to Aaron Gjermundson for casting in resin. 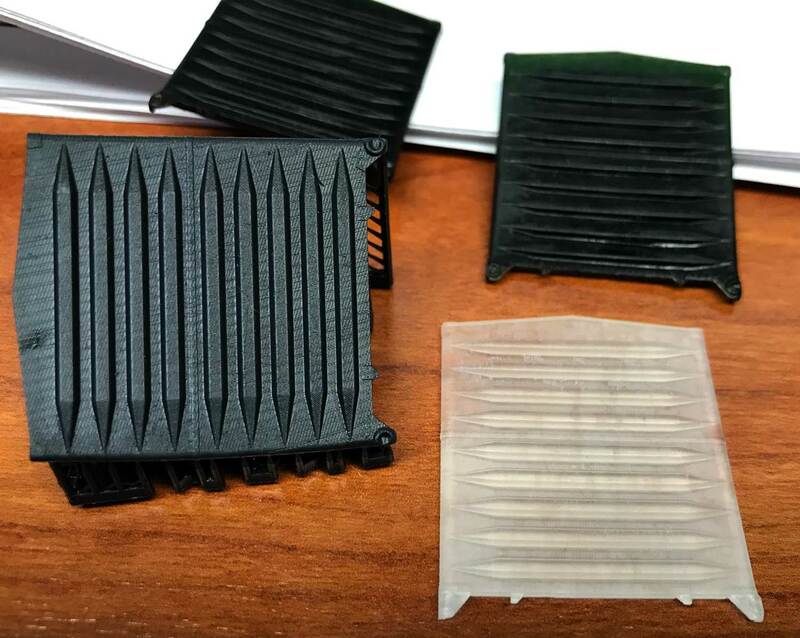 These are several test prints from various rapid prototype technologies. A new decals set is being created for this mini-kit. RPM Chicagoland thanks the InterMountain Railway Company and Des Plaines Hobbies for generously donating box car bodies for the 2017 mini-kit! As this project was created digitally, the mini-kits will be offered in O, S, HO and N scales for 2017 RPM Chicagoland registrants! The quantities are limited with 200 HO, 50 N, 12 O, and 12 S scale mini-kits being produced. This is a first come first served situation and only available for RPM Chicagoland registrants. Make your plans now to attend this premier prototype modeler event, October 26-28, 2017, in Lisle, IL. RPM Chicagoland is one of five prototype modeler events that close out 2017, plus the Prototype Rails at Cocoa Beach kicks off 2018 in early January. Check the updated RPM calendar for dates, locations, and links. 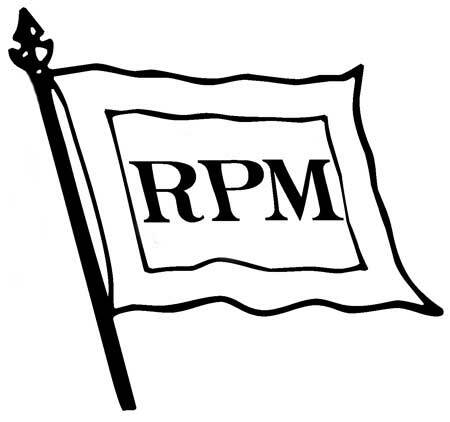 Make your plans to attend an upcoming RPM meet. 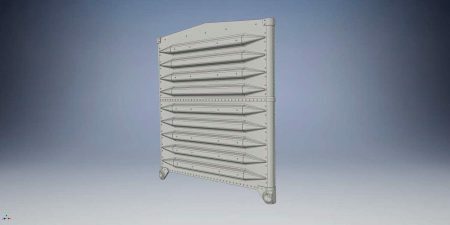 Bring your latest in-process and completed models for display. Resin Car Works will be attending the RPM Chicagoland event. Don’t forget we will debut the new HO scale UTLX Class X 6500-gallon tank car kits! We will see you there. Hotel and RPM registration done…haven’t been to “Naperville” in a few years – looking forward to catching up with everyone. You guys discontinued your X-3 too early, as we speak people are fighting over a Sunshine one on ebay. I hope you reconsider doing another batch of ’em. Haha, true! And I did not win it….